Falafel seasoned chickpeas are my new favorite snack. Made by Saffron Road, you can find them at most Whole Foods stores and even places like Wal-Mart (not that I encourage you to shop there). 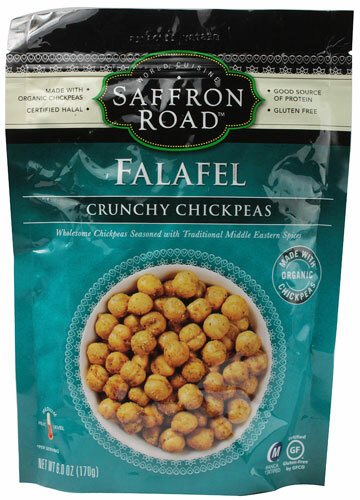 This deliciously lovely snack has organic chickpeas wrapped in yummy falafel-y spices. Chickpeas are full of protein and gluten-free and very filling if you’re watching your weight. The only downside is that with the wonderful spices, your breath might be kickin after you snack, so keep some gum or mints around – especially if you snack at work. Your co-workers will thank you.